Chef Dragon usually runs a very Happy Kitchen. But someone forgot to place the daily food order and now he’s all out of ingredients! 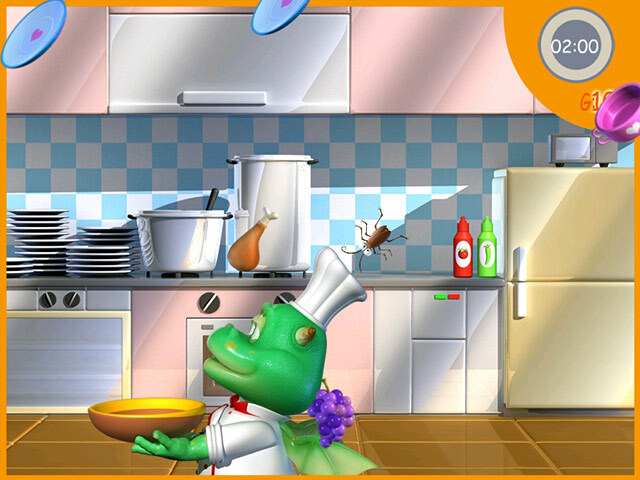 Help this fire-breathing culinary star stock his pantry in this adorable online game. 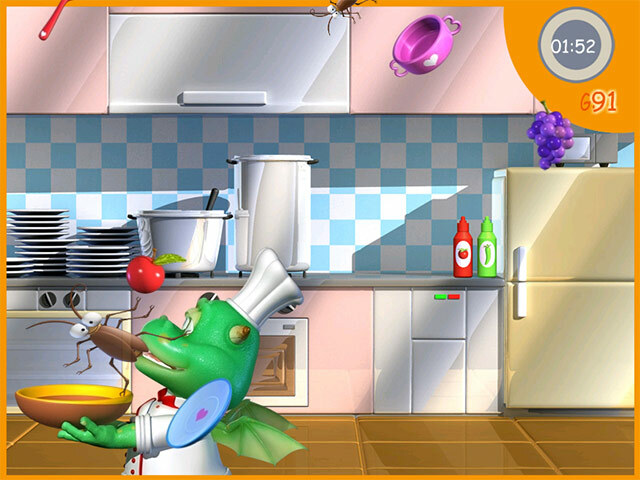 Use the arrow keys to maneuver Dragon left or right so he can catch the falling food in his bowl. Avoid the dishware and nasty cockroaches. 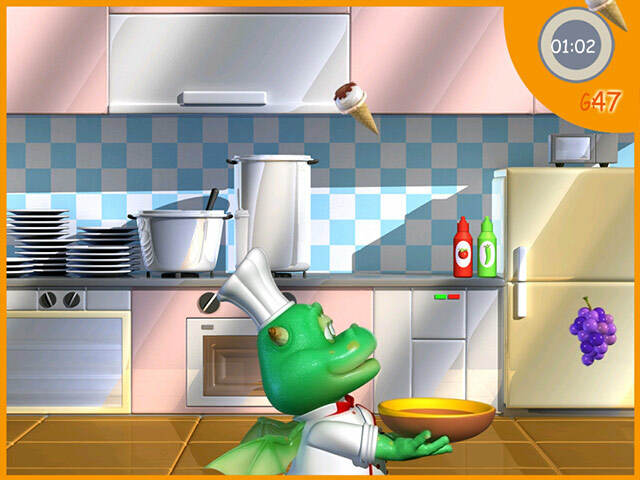 Get cooking now and help Chef Dragon make his kitchen happy again. Can you make Dragon’s kitchen happy?